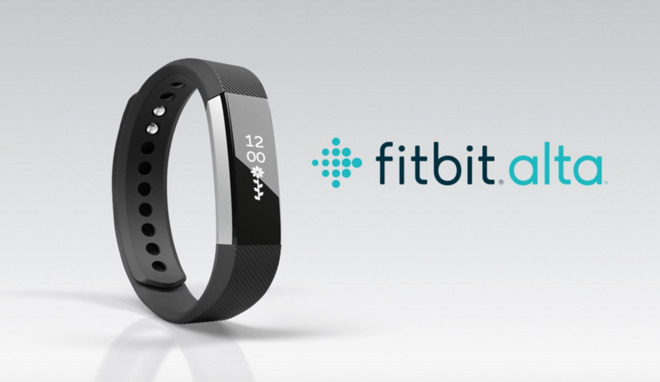 Fitbit on Wednesday announced the latest addition to its iOS-connected wearable devices lineup, the $130 Alta, featuring a slim touchscreen OLED and five days of usage on a single charge. The Fitbit Alta is now available to preorder directly from the company in black, blue, plum, or teal options all priced at $129.95. 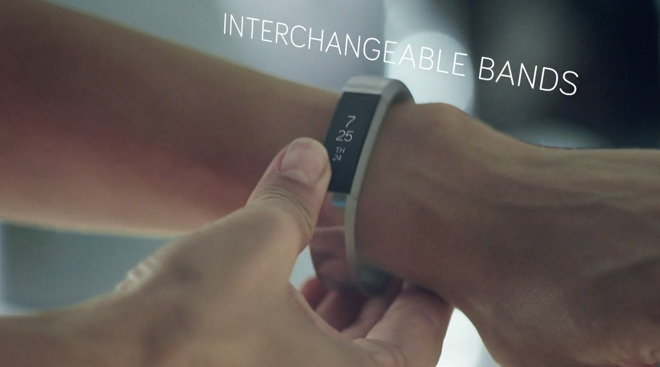 The device features a focus on fashion, offering users the ability to swap bands, including $60 leather versions and a $100 stainless steel metal bracelet option. Fitbit has also pledged that "Alta Gold" and Tory Burch Designer Collection bands are coming soon. Like the rest of Fitbit's product lineup, the Alta will track a user's steps, distance, calories burned and active minutes. It also helps users to stay active throughout the day by giving reminders on when to move. Fitbit's "SmartTrack" feature automatically recognizes and records exercises for the user. The company says the Alta offers up to 5 full days and nights of uptime without needing a recharge. The unit itself has an OLED "Tap Display" that provides stats, time and smartphone notifications. When paired with an iPhone, users can receive call, text and calendar alerts on their wrist. The Alta is the second new wearable device announced by Fitbit so far in 2016. The first model, the Blaze, debuted last month at CES, featuring a color touchscreen, heart rate monitor, and step and sleep tracking, priced at $199.95. Though Fitbit's products compete with the Apple Watch in the growing wearables market, the CEO of Fitbit claimed late last year that Apple's wrist-worn device has had no material impact on sales of his company's devices. Fitbit CEO James Park said he feels the Apple Watch targets a different type of high-end consumer than Fitbit's more affordable offerings.